Somaliland won the war against the vicious regime of Siyad Barre. Above and beyond, Somaliland gained hard earned peace through State formation and institutional building. The country, in due course bourgeoned and flourished to build its democratic pillars, national currency, public institutions, and armed forces. Although, the country has not yet been recognised by any other State. Nonetheless, the International Community copiously engages its government by providing technical and financial assistance. 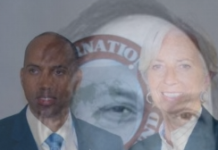 The international engagement, which considered Somaliland as a de facto state can upkeep of the nation state to improve its economic channels by building the Soft Institutions through economic development projects. Unfortunately, if Somaliland is recognised as an independent sovereign state, it would have been ranked the fourth deprived and poorest country in the world. The unemployment scale is as high as 65%, where secondary and university graduates are out of work. There are no vocational training centres anywhere in the country, which might provide the creation of employability opportunities. The potentiality of human resource ‘’younger generation’’, which are the agent of change are desperately hopeless. Therefore, my critical argument today distillates country’s Social Security and Economic Development Strategy. 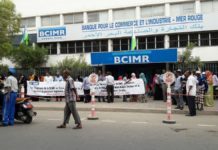 Social security and economic development can only be achieved by building and reforming Somaliland’s soft institutions. This political dogma will be in full swing by reforming country’s current tribal political parties into national or state political parties. The formation of a country in general starts from the consent of its entire people, this legitimizes the credibility and trustworthiness of the complied political administration of the state, and the society as a whole. This is the main reason of why social fabrics are important for state political, economic and social sustainability. Although, Somaliland enjoyed peace and stability for more than two decades from now, the inherited political system is in a great danger. Our geopolitical constituency is unstable, the East African economy is not doing well, and there are economic declines everywhere in the region. 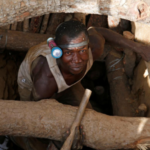 The unemployment number is growing in Ethiopia, Djibouti, Kenya, Tanzania, Uganda Eretria, as well as other northern regions of Sudan and Egypt. We need to feel the social pressures of the continent and the neighbouring countries like Yemen as well. Our political parties are the sole economic and political tool to survive, but regrettably they are in a deep mess. There is no single political party in Somaliland that stand for rebuilding Somaliland’s political and social economy. The parties have not yet prepared their political manifestos nor a realistic or liberal foreign policy to lead the nation. 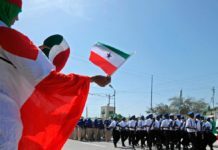 Peaceful Somaliland adopted the democratic system of governance after its insight triumph of building the rigid peace and stability as well as the government’s hard institutions. However, to sustain peace, economic development and democratization process, as a democratic nation, we need to promote and maintain the highest standards of directorship and corporate governance, in order to treasure trove more reliable nation state, where every citizen benefits democracy, social equality, justice and rule of law. To achieve this in a democratic country like Somaliland we need to fulfil the political accommodation, which is the innovation and the political idea designed to help, individual, and group concerned with equal participation and political equality within the political parties. These include; power sharing of political parties, civil societies, professional associations, women and youth groups, regional and tribal politics, and government and its different levels to maintain and restore checks and balance within the Somaliland society. 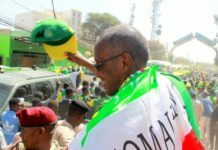 Although Somaliland is a democratic state with a free and fair election, and a multi-party system of governance, the country lacks the enactment of national political parties. For the reason that political parties are more like tribal, individual or group owned political parties. To sustain peace and development within a democratic society we need a process or outcomes of mutual conciliation around people’s competing political views and interests. A strong national political parties with the equity of representation, equity of political decision making influence, degree and effectiveness of public participation and the effectiveness of mutual political conciliation is one of the strategic aims of my research findings. It is not enough that different actors being given a seat at the table, they must even be given a fair say. And it is very important to provide a means of public participation. Public participation helps improve the quality of the options developed. To enjoy a fair and equal political life among the Somaliland communities, the fundamental democratic system should be practiced and exercised within the political parties. Therefore, in order to build a fairer, democratic and peaceful nation state, we need to reinforce the rule of law, and the constitution of the country. By doing this, Somaliland requires a political and legal reform within the political parties, to obtain national sharing spirit and the sense of ownership of the Somaliland society. 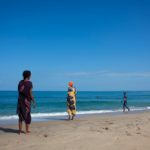 The Eastern Regions that oppose Somaliland independence have experienced the absence of state ownership, and that is one of the main reasons why Anti-Somaliland politics still exist within the Somaliland communities. 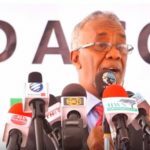 Awdal’s grouchy of political power sharing and employment opportunity are another growing occurrence of the country’s peace reliability. 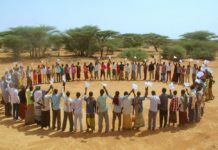 The research aims that the regional or tribal communities, women and youth groups to have their equal share politically, economically and socially when it comes to Somaliland ownership. This will support the sustenance of peace, democracy, freedom and social equality of our nation state Somaliland. As a result, to create the political will of equal political participation, we should fulfil the need for enactment of national political parties based on citizenship possession and democratic political equality. 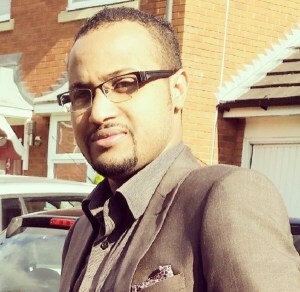 Mohamed Hagi Mohamoud. Department of Politics and International Studies. The Univeristy of Warwick. Email:m.hagi-mohamoud@warwick.ac.uk, mohamedomar1@hotmail.com. 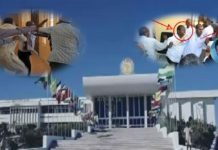 Previous articleSOMALILAND: What Is Xildhibaan Xoog Doing?